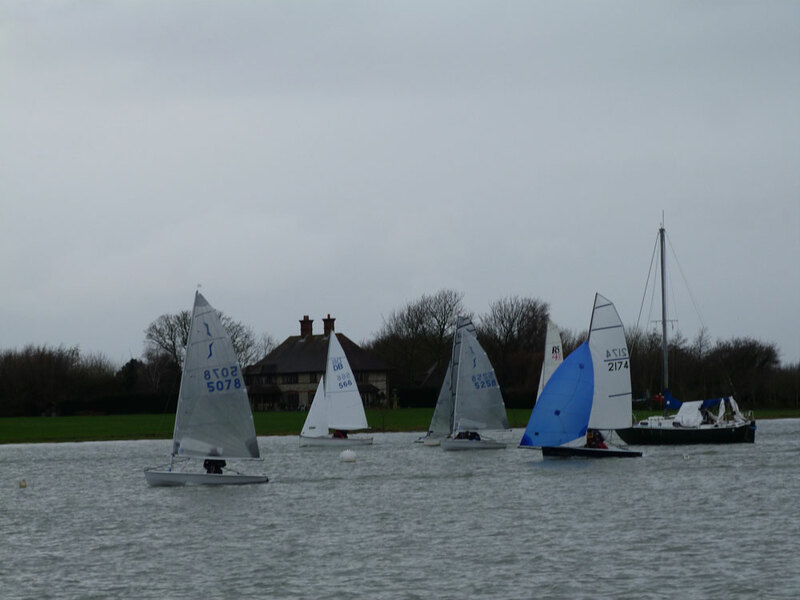 Initially weather conditions were grim for the start of the 7th race in the DQSC Frostbite series, with wind speeds of Force 6 gusting to Force 7 at times. Consequently only the most competent and experienced sailors attempted this first race with many retiring before the start. 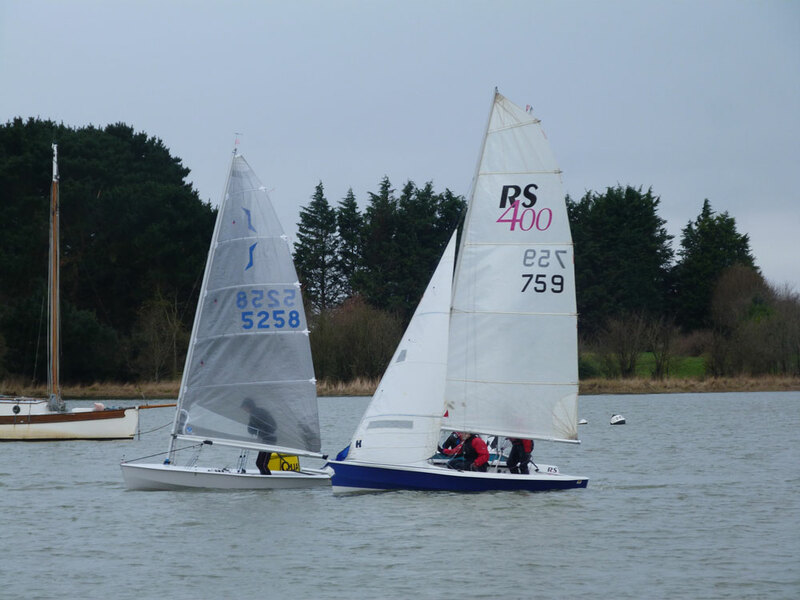 Both races were dominated by Bill Dawber and Malcolm Buchanan in their Solos and Mike Fitzgerald and Tim Dormer in a 2000 dinghy. 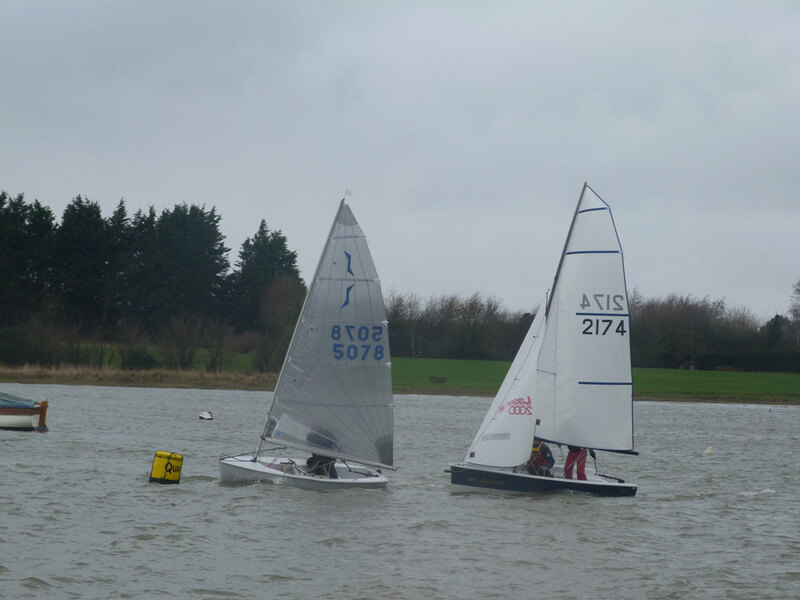 Fitzgerald/Dormer were first across the line in race 7 but the normally dominant Dawber made a poor start. Both Dawber and Buchanan tacked inshore to stay out of the tide whilst Fitzgerald/Dormer chose to stay in the tide and paradoxically pulled ahead up the first beat. During the first run Fitzgerald/Dormer headed up under the trees and got out of the wind whilst Dawber headed out into more wind and tide, allowing him to gain some ground. During the second lap Fitzgerald/Dormer stayed in the wind, further consolidating their lead. Dawber changed his rig settings on the final beat and almost caught up with the 2 leading boats, but only enough to secure third place with Fitzgerald/Dormer claiming first place and Buchanan coming second. 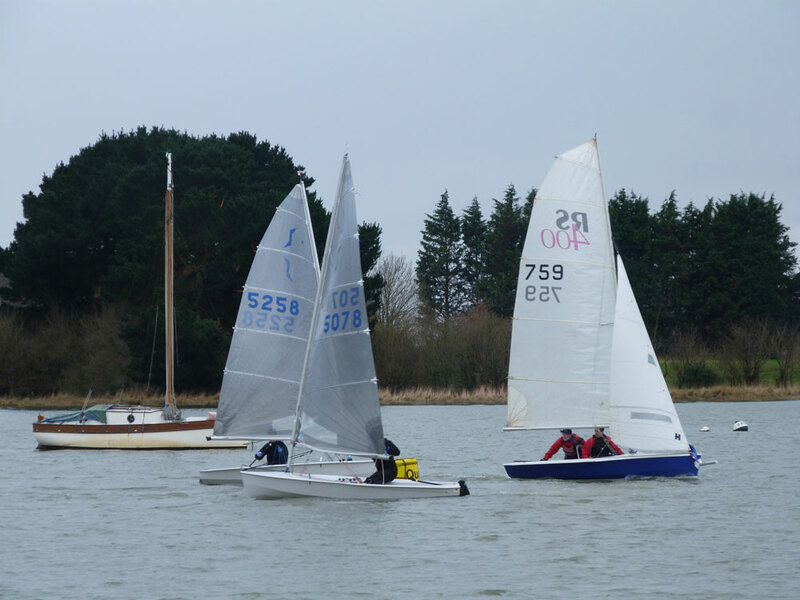 The wind dropped considerably during race 8 encouraging all boats to compete. Buchanan took the advantage at the start, pulling well ahead of the field and leaving Dawber in amongst the RS400s and 2000s. On the run Dawber and Buchanan managed to find clearer wind, catching up with the faster boats which had overhauled them on the beat. On the second beat Dawber stayed on starboard tack, leaving Buchanan behind in less wind and less (now favourable tide). Dawber took first place this time, pushing Fitzgerald/Dormer into third place and leaving Buchanan in second place once again. 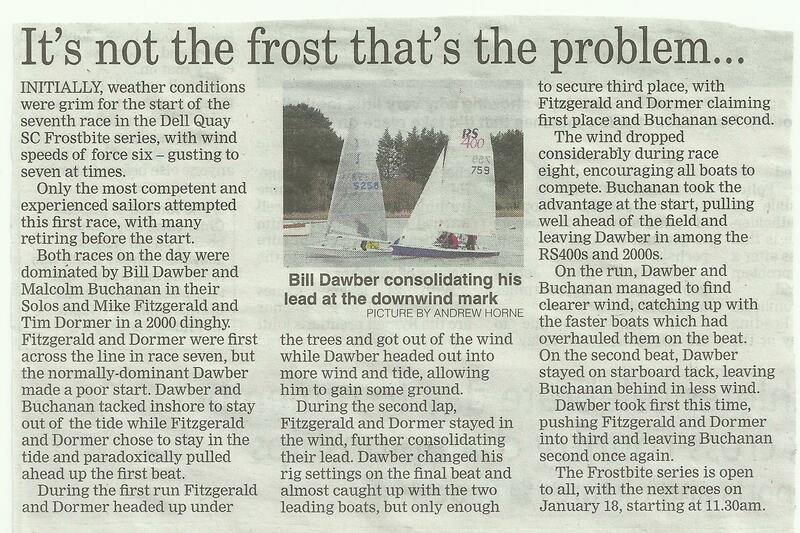 The DQSC frostbite series is open to all, with races 9 and 10 taking place on Saturday the 18th January at 11:30 pm.